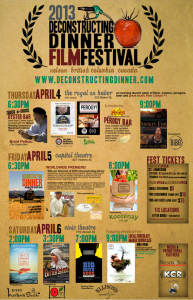 Worldwide theatrical premiere (and sneak peek!) of Bringing Home the Bread – one of six episodes for the forthcoming series set to air nationwide on ichannel this Summer. 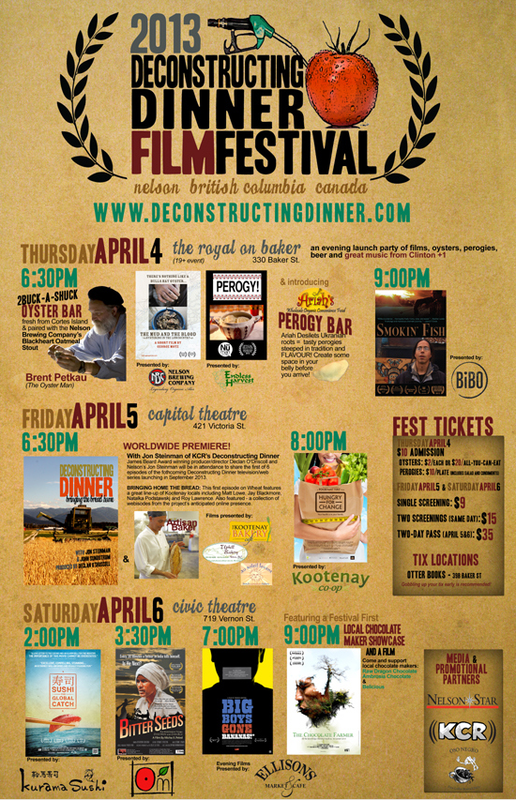 Written and hosted by Nelson’s very own Jon Steinman of Kootenay Co-op Radio’s Deconstructing Dinner (2006-2010). Alongside James Beard Award winning producer and former Kootenay resident Declan O’Driscoll (Milk War), this episode features chef John Sundstrom of Lark in Seattle – also a James Beard Award winner! A great line-up of Kootenay residents are also featured including Matt Lowe, Roy Lawrence, Jay Blackmore, Jesse Phillips and Natalka Podstawskj. This episode examines the little known yet significant nutrient declines being documented in wheat following the decades-long evolution of modern wheat varieties. Along with the loss of nutrients, so too has the flavour of wheat all but disappeared. But there are inspiring efforts in the U.S. and Canada which are successfully reversing this trend and bringing the bread back home!